Ladies & Gentlemen Studio:: Sprout of a Great Idea! After a long day of work doing our L&G Spring Sale, we had the pleasure to go to one of the Sprout dinners! 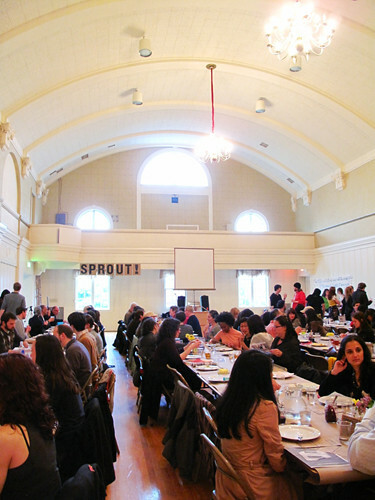 Sprout is a local Seattle non-profit organization where they organize dinners in support of local artists, designers, or performers and their creative endeavors through a voting process over a meal. 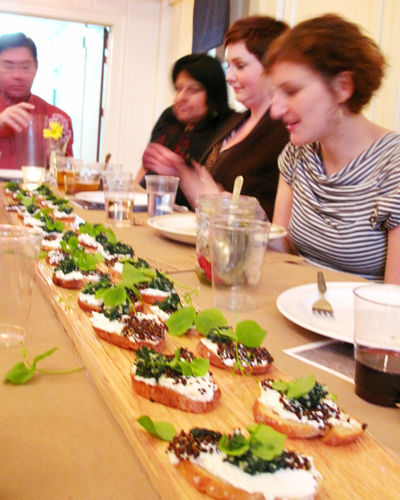 Attendees pay $20 for a full deliciously homemade 3 course meal. A list of 4-6 Artists/designers presents their project to the audience as they dine. At the end of the meal, everyone votes for their favorite project. Then the winner gets the money collected from the event to pursue their dream!! I just love how simple and straight forward this format is in getting people from the community to participate and support something collectively. It was a totally enriching experience to see and hear about all the interesting projects and help support someone and their ideas...and all the while eating amazing food and drinking wine & local brewed beer....pretty amazing. Home made pickled beets & string beans. 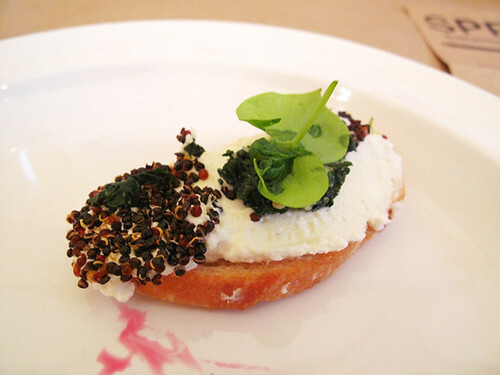 Toasted quinoa with goat cheese. Simple penne pasta dish with saute chard & fresh tomatoes. Rhubarb crisp with homemade caramel & ice cream....HEAVEN!! I already can't wait for the next event!